The difficulty in putting together recipes, is that i hate the damn things. 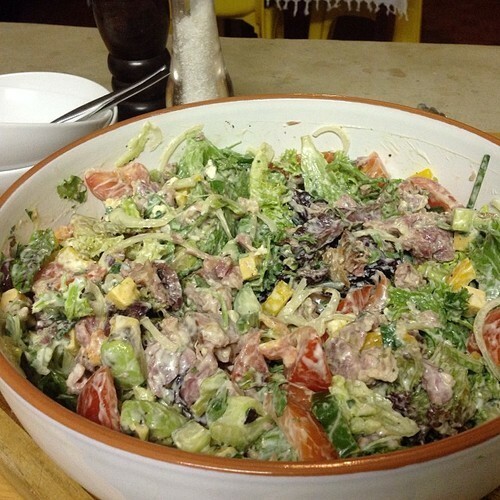 Generally, I cook ‘cause i love it and do so during my leisure time. The idea of someone telling me what to do bugs me at the best of time. So for the sake of my sanity and yours, our “recipes” are more like ideas. They are not really how to guides. 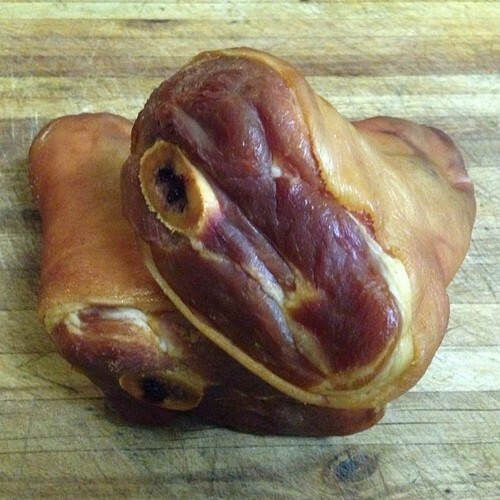 Some of our friends have asked us to put up some ideas on how we like to use the hocks. 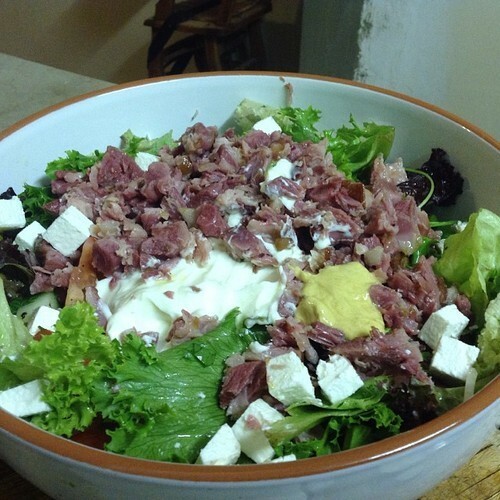 So this is our hock o'clock salad. 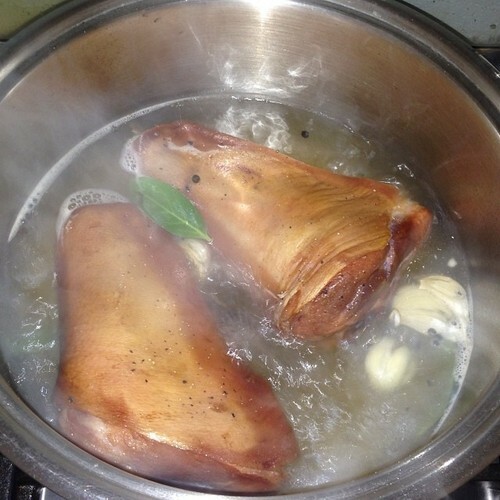 The hocks tend to take a while so we generally do it at the same time as something else that also takes a while. We keep them in the fridge and just add them to the salad later in the week for an easy meal. We tend to boil them in a little unsalted water with some aromatics, garlic, black peppercorns, fresh bay leaves from the garden and when we are feeling adventurous some cider. Thats if our kids haven’t forced our hand into consuming it. 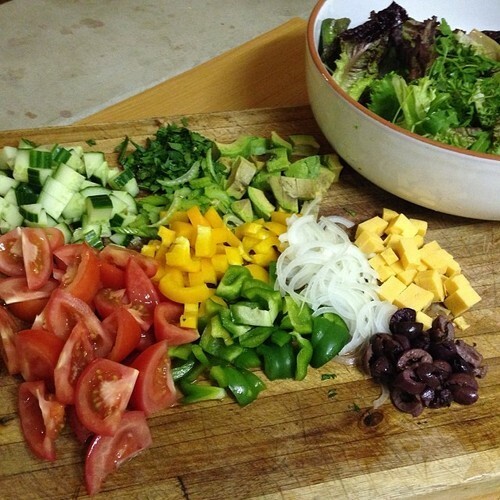 Prepare the salad with whatever tickles your fancy. Strip the bone of all it’s meaty goodness and dice up, if you have had the patience to do this low and slow it should fall apart and you can pull it strands with a fork. Mix in some fresh Balsamic vinegar or lemon juice, olive oil, thick plain/Greek yogurt, dijon mustard, honey, black pepper and some salt to taste. When the kids aren’t joining us we add some thinly sliced chilli from the garden. Mix and serve with some warm crusty bread. 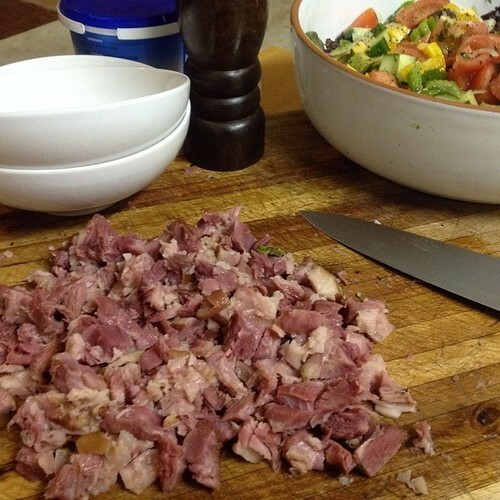 There you have your hock o'clock salad.